This is a contributed piece by Chiara Pensato, Director - EMEA, Alteryx Inc. But data is the one technological innovation of recent times that has actually made highly-skilled workers more in-demand than ever, and is shaking up long-established job roles throughout enterprises. 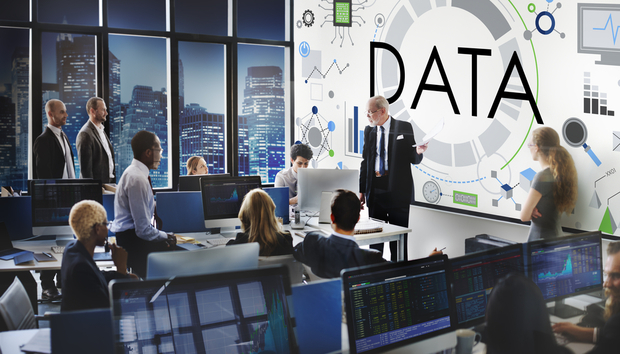 Not so long ago, data was seen as an important element of business, but one which was confined to the experts in the IT or Business Intelligence departments. Today, data is not only crucial to business decision-making, but it is fast becoming ubiquitous throughout businesses. The thing about having more data is not that it helps data specialists (though it does) – it helps everyone do the jobs they do, but better. Our new research shows how data has been embraced from the highest echelons of UK businesses, down to the coalface. This has incredibly significant implications for every job role within organisations in the coming years. If there ever was a time when CEOs and business-decision makers were inherently conservative and mistrustful of new technologies or overly reliant on gut-decision making, those days have long gone. Today, the overwhelming majority of business leaders (95%, according to our research) use data and analytics in their decision-making process to find the right answers to complex situations. This isn’t just happening at boardroom level: most job roles today, from marketing to finance, sales to HR, require workers to work with large data sets, and to be familiar with data tools such as analytics software. This is echoed in our finding: that only 15% of UK businesses leave data analysis to the IT department or Business Intelligence team. Instead they now favour encouraging line-of-business departments to use analytics tools in their day-to-day work. Almost a third of businesses (31%) surveyed are already empowering business users with self-service analytics tools; unsurprisingly, this means that businesses prize employees who have the skills and experience to use these tools effectively. It’s no longer enough for job candidates to claim proficiency on “the full range of Microsoft Office applications”, important as these still are. Today, recruiters are looking for data literacy – in fact, it’s the skill that’s prized above all others, including fluency in foreign languages. Four in every five UK business leaders surveyed now consider proficiency in working with and analysing data to be either very important or essential. As a skill requirement, data proficiency has leap-frogged other factors when considering potential hires, with more than a quarter (26%) of business leaders viewing data and analytics skills more important for new joiners than industry experience, management experience, or a second language. Having data skills doesn’t just make a candidate more employable for any particular role, crucial as that is. It also gives employees much more opportunity within companies to follow a more varied and flexible career path. People who are data proficient are inherently more valuable to a business, but because these skills are transferable it means that they have much more opportunity to add value not just within their own department but across the company. This is great news for those individuals who commit themselves to mastering data skills. They will have a richer and more varied career open to them – and a more remunerative one, too. Three quarters of UK businesses would offer a higher salary to a potential candidate who is data-proficient, which on average, could equate to an astonishing 30% salary hike. There is no shortage of online and offline courses where ambitious graduates can grow their data skills, and many degree courses are incorporating data analytics tools within their syllabuses. But we’ve yet to see these skills recognised as a fundamental element of the modern business skillset. At the moment, data proficiency is still a (very) nice-to-have, rather than being an absolute pre-requisite. This is likely to change, however. The research found that four in every five UK business leaders feel that data analytics should be a compulsory part of all MBA programmes, so the workforce of the future is best equipped with the skills businesses need. Of course, the problem of harnessing data does not lie in skills alone. Businesses need to be structured, organisationally and technologically, to make all relevant corporate data readily available to everyone who needs it (subject to regulation). Data needs to be complete and accessible to everyone who’s authorised to use it, and this is currently a problem for 43 per cent of business leaders, and the most common analytics-related issue. There’s also significant internal housekeeping to be done before businesses can unlock the potential of their data. In around half (46%) of businesses, data received from another department or business division needs to be cleaned, repaired, or re-organised before it’s ready for analysis. Data silo growth is another issue, with only a third of business leaders saying that the information their teams need are conveniently stored (and accessible from) one place, with two in five firms using five or more separate sources for the data they use to make business decisions. Let’s not be too hard on businesses, though. The information revolution has happened so quickly that organisations should instead be commended for the speed with which they have embraced data and analytics, and made them available to an ever-growing proportion of their workforce. While the challenge for businesses is how they can become more efficient and centralised in their approach to data, the imperative for the ordinary (or not-so-ordinary) worker is to gain expertise in the tools and techniques that will make them valuable to the organisation of the future. One might have said in times past that the opportunity is incalculable, but that is very much not the case anymore.